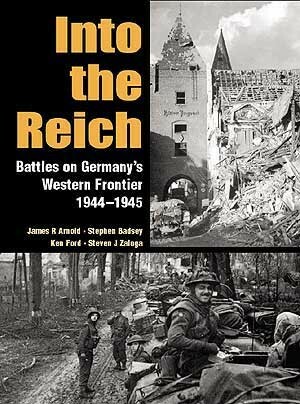 This book combines Campaign 5: ‘Ardennes 1944', Campaign 24: ‘Arnhem 1944', Campaign 74: ‘The Rhineland 1945' and Campaign 75: ‘Lorraine 1944'. In the aftermath of the German collapse in the west in the summer of 1944, Allied armies rampaged across France and Belgium. A German counter-attack was crushed by General Patton in Lorraine, and Allied armies closed on the borders of the Reich. The Allied plan to end the war at a stroke ended in bloody failure at Arnhem, but a German offensive in the Ardennes, Hitler's last roll of the dice on the western front, proved equally futile. With German forces bled white, the Allies hurled themselves across the River Rhine to bring the crumbling edifice of Hitler's 1,000-year Reich crashing in ruin. Stephen Badsey is a lecturer at the Royal Military Academy, Sandhurst, and has written about subjects as diverse as Hitler, war correspondents in the Crimea and modern fighter aircraft. James R. Arnold is an established author who has contributed to publications ranging from the Napoleonic campaigns to the battles and armies of the American Civil War. 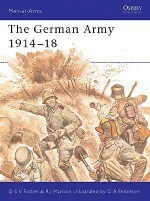 Ken Ford spends his time as an author and a bookseller specialising in books in military history, and has written a number of books on Second World War subjects. Steven J. Zaloga has published numerous books and articles dealing with modern military technology, especially armoured vehicle development.